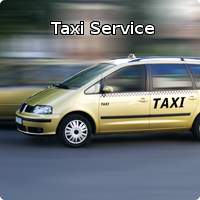 Need a Taxi in Walton On Thames? Then call King Cars today! Welcome to King Cars, one of the leading taxi firms in Walton On Thames. From our location in Walton On Thames, our drivers offer a local taxi service and affordable airport transfers. Over our years of service, we've earned a solid reputation as the friendly and prompt taxi drivers you can rely on for any journey. Whether you need transportation on your big day or you are simply nipping to the shops, King Cars is the taxi firm to call. The team you can rely on, we at King Cars have been a familiar face in Walton On Thames and Weybridge for over many years, with office based in Walton On Thames, customers requiring a taxi in Walton On Thames can rest assured that King Cars vehicles and drivers use the latest technology to get you to your location safely, and in the fastest time possible. Our service not only includes Walton On Thames and Weybridge Taxis, but also and pick-ups from all of London’s airports. At King Cars, all of our drivers are CRB checked and local to the Walton On Thames area. This means they know all of the best routes to get you from A to B without unnecessary delays. We ensure we keep up-to-date with local road works and ensure we avoid traffic hotspots so we can get you to where you need to go as quickly as possible. The majority of our clientèle are regular customers who frequently use our taxis; testament to our great customer service and trustworthy drivers. We have a number of vehicles in our fleet of varying size and seat number, so we can accommodate both large and small parties who wish to travel together. Each of our drivers takes great pride in cleaning their vehicles inside and out for your comfort. 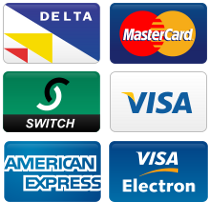 For your convenience we now accept all major credit and debit cards when booking your taxi in Walton On Thames or Weybridge taxi. You can make a cash or card booking online (no minimum value or credit card fees) or you can pay by cash or card in the vehicle at the end of your journey. We also accept cash in £Sterling, $US or Euros at today’s Travelex exchange rate, so it’s easy when you’re making Airport transfers. We offer a full range of account facilities. Our corporate Taxi account offers priority service, frequent free upgrades, fully itemised monthly invoicing and a dedicated Account Manager. We have worked hard to ensure the level of our corporate account service is at the peak of the industry. You can confidently place your company’s account with King Cars, knowing that we’ll get you where you want to go. To book your taxi in Walton On Thames today, call our team on 01932 304 304.